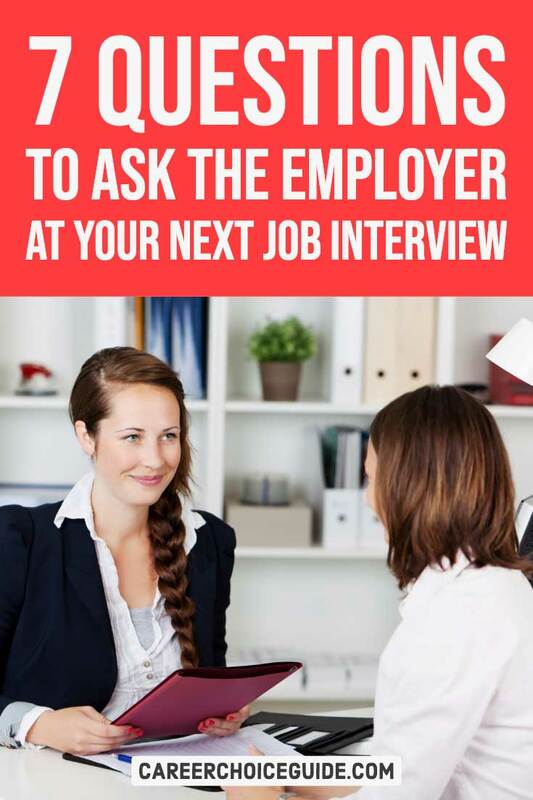 If you've been invited to an interview, you absolutely must prepare some job interview questions to ask the employer. I can almost guarantee, at the end of any interview you attend, the hiring manager will ask, "So, do you have any questions for me?" before wrapping up the meeting. It seems like a simple enough question, but many job seekers are truly unsure of how to respond. The fact is, your job interview is not complete when the employer asks if you have any questions. The employer will make decisions about your suitability for the job based on the type of questions you ask, so you should still be striving to make a great impression at this stage in the interview process. Happily, there are plenty of interview questions you can ask that will provide you with useful information about the job and will make a good impression on the hiring manager. To save you a lot of worry, I've prepared a list of seven great questions you can ask an employer to help you gather the information you need about a company and make a great impression. Imagine you're near the end of a job interview. It's been nerve-wracking, but you feel good about the answers you gave, and you believe you've developed a good rapport with the employer. But you know it's coming. The employer is going to ask if you have any questions. You know you're supposed to have a couple of intelligent questions to ask, but in the stress of the interview process you've drawn a complete blank on any questions you might want to ask. Or maybe you memorized a couple of job interview questions to ask the employer, but they've already been answered during the course of the interview. This Problem is Easily Avoided! Type the list up neatly, print it, and bring it with you to the interview. When the employer says, "So, do you have any questions for me?" you can simply say, "Yes, I do. I've prepared a few. I have them right here." Then pull out your list of questions, review them quickly, and ask two or three of them. You shouldn't ask all of the questions on your list, so choose a couple that seem most appropriate based on what has already been discussed in the interview. Bringing a Prepared List of Questions to Ask the Employer is Not Cheating! Job seekers are often amazed when they discover they can bring a printed list of questions into the interview. You do not have to memorize your questions. You're not at school writing an exam. You're at an important business meeting, and it's smart, and expected to come to any important business meeting well prepared with notes. When you pull out your list of questions to ask, the employer will see that you are well prepared, organized and interested in the job. Why Should You Bring a Printed List of Questions to Ask the Employer? 1. You'll eliminate the need to memorize questions you want to ask and take some pressure off yourself if you bring a list of job interview questions to ask the employer. 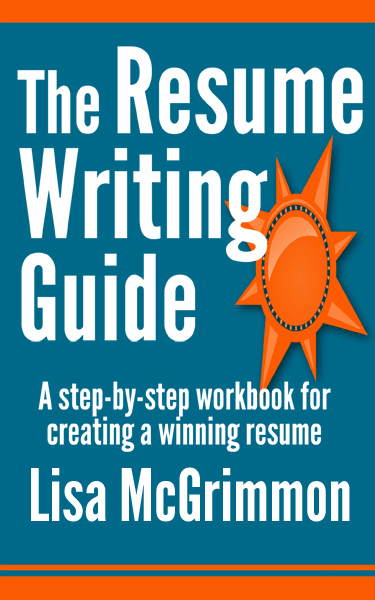 Writing a list of job interview questions to ask the employer eliminates the need to memorize your questions before the interview. You can focus on more important things, like practicing answers to more difficult interview questions. Plus, you don't have to worry about forgetting everything you plan to ask, which eliminates one source of interview stress. 2. If you bring a list of several questions, you won't have to worry that they will all be answered in the interview. Writing a list of five or more job interview questions to ask the employer ensures that you'll have at least one or two questions left that the employer didn't answer during the interview. Keep in mind, although you'll prepare five or more questions to ask, you only prepare that many to cover yourself in case the employer answers a lot of your questions during the interview. You will probably not actually ask that many questions. The employer will only expect you to ask a couple of questions and will probably only leave enough time for you to ask one or two questions, not five or more. 3. Coming prepared with a list of questions you want to ask demonstrates to the employer that you are organized and well prepared. An interviewee who pulls out a neatly typed list of intelligent questions to ask at the end of an interview makes a great impression on the employer. Bringing a prepared list of questions demonstrates preparation, organization, and a keen interest in the job. What Are the Best Job Interview Questions to Ask an Employer During an Interview? Keep in mind, at this stage of the interview process you are still working to show the employer that you are the best candidate for the job. Good questions to ask are focused on helping you learn more about the job. They are not focused on your own needs. Bad questions make the interviewer feel you are only interested in a paycheck, and you aren't really interested in the job itself. While it may be true that you're most interested in the pay, that is the last thing you want a potential employer to think about you at this stage in the hiring process! How many vacation days do I get? Questions like these should be avoided because they are self-serving. They don't show the employer that you understand and are interested in the job you'd be doing if you were hired. I understand you need to know about salary, benefits and vacation time, but now is not the time to ask about those things. If you're curious, here's when you should ask all of those kinds of questions. When an employer asks if you have any questions at the end of an interview, you are still being assessed by that employer. You still need to be working actively to make a great impression and stand out from the competition. Self-serving questions won't help you to achieve that goal! Do ask questions that further highlight your skills and show that you have a genuine interest in the job. Here are some examples. What are the most important things you'd like me to accomplish in the first three months if I am hired for this position? How is performance typically measured and reviewed? How do you see my skills and experience fitting with the needs of your company? Is there anything at all that you'd like me to clarify for you? When do you expect to be making a hiring decision? May I follow up with you to find out your decision? 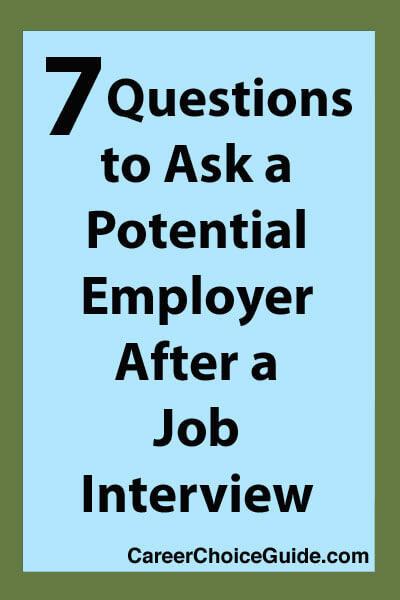 Why are these seven job interview questions to ask an employer effective, strategic questions? They each, in their own way, work to help you learn more about the job while also making a positive impression on the hiring manager. Let's take a look at each question in some depth to examine why they are smart questions to ask. 1. What are the most important things you'd like me to accomplish in the first three months if I am hired for this position? Asking this question will help you to get a good sense of the employer's expectations. You'll know what the employer will expect you to be able to jump in and accomplish right away. This question makes a great impression on an employer because it shows you're the type of employee who will clarify expectations to always ensure you have a good understanding of what the employer requires of you. 2. How is performance typically measured and reviewed? The answer to this question will tell you what you need to do to be successful at the job. Will you need to reach certain, specific targets, or is success measured in more general terms? You may get insights that will help you become a star employee. For example, an employer in manufacturing who is hiring a production worker may tell an interviewee that the most successful employees are those who are trained to work in as many areas of the plant as possible. If you're hired, you'll know that you should take advantage of every opportunity to cross train for different jobs if you want to become a valued employee. This question makes a good impression on the employer because it demonstrates you are aware that there will be expectations regarding your job performance. You're clarifying how you and your employer will measure success on the job, so you can ensure you meet those targets. 3. How do you see my skills and experience fitting with the needs of your company? This question is excellent because it can cause employers to review all of the reasons why you're a great fit for the company, which is exactly what you want them thinking about when you leave the interview. 4. Is there anything at all that you'd like me to clarify for you? This question is one of the best interview questions to ask an employer. It's helpful because it will bring up any lingering questions the employer may have about your qualifications. If you didn't talk a lot about a specific skill set required for the job, the employer may be left with the impression that you're not strong in that area. If you ask this question, and the employer responds that he or she would like to hear more about that skill set, you'll have the opportunity to convince the interviewer that you are strong in that area. 5. When do you expect to be making a hiring decision? The last three questions on the list are all about ensuring you can follow up to find out the results of the interview. If the employer can give you a timeline, you'll know when to expect a decision, and when it might be appropriate to follow up with the employer. 6. May I follow up with you to find out your decision? At this stage in the hiring process, most employers will give you the courtesy of a phone call even if you weren't selected for the job. However, sometimes people get busy and either don't contact the interviewees who weren't selected, or the decision making process takes longer than expected. If you know the employer planned to make a decision in a certain time period, but that time has passed and you haven't heard from them, if you've asked permission to follow up, then you can do it. You don't have to sit, waiting for your phone to ring to find out the outcome of the interview. 7. May I have your business card? When you have the employer's business card, you'll have all of the contact information you need to follow up to learn the results of the interview. Also, the interviewer's business card will give you all of the contact information you'll need to write and send a great thank you note after the interview. Writing a thank you note after the interview is one of the easiest ways you can make yourself stand out from the competition when you're interviewing for a job. Of all of the job interview questions to ask an employer, "May I follow up with you?" is the most important. Never, ever leave a job interview without asking if it is okay to follow up. A lot of the job searching process can feel like you're waiting around for employers to make decisions without getting a lot of feedback. A lot of things can feel outside of your control. At the point in the hiring process when you've attended an interview, it's perfectly reasonable to expect some type of follow up whether you get the job or not. Asking if it's okay to follow up yourself gives you a bit of power in the process. If you don't hear from the employer, you won't have to sit and wait for the employer to call you.